I wanted to run at Bethpage this morning but I was concerned that I'd be locked out, like the last time I went there. I understand if the current budget requires closing the park in winter, but I did buy an Empire Passport to get year round access. What really bugs me is that the website says the park is open every day of the year. Perhaps it is, and I just happened to come on a weekend when it was closed. Would it be too much to ask to have accurate information on the NY Parks website? Not wishing to drive over to Bethpage only to be greeted with a locked gate, I headed out the door intending to cover about six miles around my neighborhood. There's absolutely nothing wrong with my neighborhood and I'm fortunate to have a safe, contained network of streets to run any time. It can be a little boring to look at the same houses and cars day after day, but it's still better than doing my mileage on the treadmill. I really didn't feel motivated prior to my run. My wife and daughter both needed to give me pep talks to get me out the door. 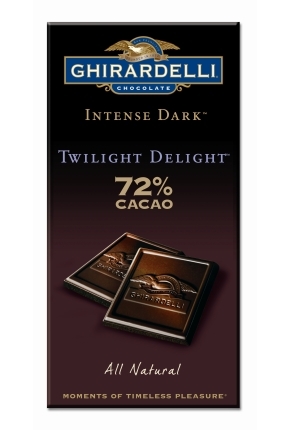 Once on my way, I felt good, and I credit the square of Ghirardelli Chocolate (72% cocoa) I had right before I started for my early energy. The only way I can put together six miles in my neighborhood without duplicating too many roads is to first go north and south, then east and west and repeat that on the other side. I dressed well for my run, neither too hot nor cold in the 37 degree weather. My energy level remained high and while I didn't exactly push the pace throughout my run, I did at the end. My route fell short of six miles but it was close enough for me. With another clear day to run on Sunday, I'm hoping to go for distance again tomorrow. Perhaps a long a long run on Stillwell's rolling trails is in order. Certainly no boring houses or cars on that route.